Oktoberfest Spins Jackpot is a festive online slot game with loads of bonus features, FREE Spins, a generous progressive jackpot and more! Good luck! 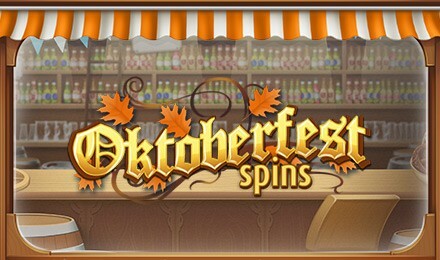 Oktoberfest Spins Jackpot Slots will take you to Oktoberfest in Munich and have you winning big! The game’s wild is the Beer Keg, which can help complete winning combinations, and the Dog Bonus will activate the Picking Game Feature with multiplied wins. There’s an exclusive Refill Bonus, where you’ll receive a FREE Spin even if you don’t win the round, and the Wild will turn into an Expanding Wild for even more wins! Login & play now! Bottoms up!